Happy Birthday, Juche (1921-2011)!! Ju-che!! Today we are greeting the year 2011, a year filled with hope, a year of new prosperity, after glorifying the stirring first decade of the 21st century as a decade full of great victories. The last was a decade when we invariably defended the ideas and cause of President Kim Il Sung, a decade full of creations and miracles when we built a solid springboard for achieving the status of a great, prosperous and powerful country. In the crucible of the complicated 21st century, our country has always stood in the limelight of the world, at the forefront of anti-imperialist independence. Our service personnel and people, who have written a heroic epic of victory after victory under the energetic leadership of Dear Leader General Kim Jong Il, are full of ambition for a even brighter future and confidence in sure victory. Last year 2010 was a year of great changes, when miraculous events that provided a picture of a prosperous tomorrow took place one after another. Our Party’s strategy of the building of a great, prosperous and powerful country is the most scientific and realistic. 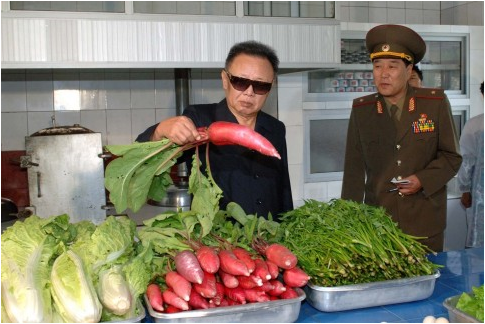 Our onward march of last year for a great upsurge was propelled as Dear Leader General Kim Jong Il had planned and intended, and came to wonderful fruits as he had visualized. Korea does what it is determined to do—this immutable truth was confirmed by the reality. The promising future and invincibility of our Party and revolution were fully demonstrated through the grand political events of last year noteworthy in the history of our nation. The Conference of the Workers’ Party of Korea that was convened amidst the mounting political enthusiasm of our people and the great interest of the world proved to be a major milestone in the development of our Party eternally into the party of Great Leader President Kim Il Sung and in the enhancing of its leadership authority to the maximum. That the fundamental guarantee for carrying forward and accomplishing the cause of the Party, the Juche revolutionary cause, was provided is a great glory for our service personnel and people. The celebrations held on the highest standard and in a characteristic way greeting the 65th anniversary of the founding of the Party vividly demonstrated in front of the eyes of the world the might of the single-hearted unity and invincible military strength that reached a new high. Notwithstanding the complicated situation, our public sentiment remained stable on a high level, and the will of the service personnel and people to stoutly follow the long road of revolution under the leadership of the Party grew stronger. There are no party and people in the world as great as ours, which have an ever-victorious history and a highly promising future. In the crucible of the onward march of last year for a great upsurge, a road was opened definitely for remarkably improving the people’s standard of living at an earlier date. The Party’s call for channelling everything into improving the people’s standard of living stirred the whole country and brought about thrilling sounds of victory in all the hard-fought projects for a great upsurge. Under the wise leadership of the Party the projects for modernization were promoted dynamically in the industrial sectors related to the people’s living, such as light industry, chemical industry and metal industry, opening a bright prospect of mass-producing the Juche-based steel, fibre and fertilizer. Hundreds of major projects including the Taegyedo tideland reclamation and Ryesonggang Youth Power Station No. 2 were brought to completion, and spectacular scenes in the Songun era unfolded in various parts of the country. The establishment of foundations for realizing the ideals of a great, prosperous and powerful country we have so long desired is a precious achievement made in the onward march for a great upsurge. 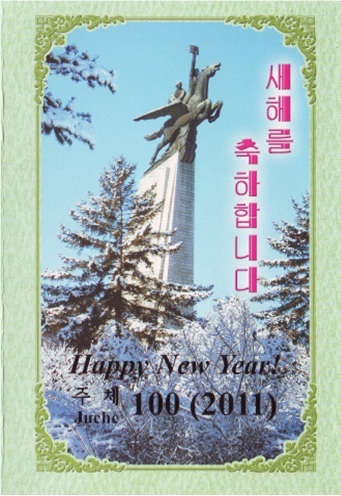 Last year witnessed the spirit of Songun Korea dashing toward the world. World-shaking, brilliant achievements were made in such fields of latest science and technology as information and nuclear technologies through the high-pitched drive to push back the frontiers of science and technology. Kim Il Sung University, Hamhung University of Chemical Engineering and other institutions of training talents were refurbished splendidly as required by the era of the knowledge-based economy. The mass-based culture and art were developed onto a new high stage, and works of art and literature with perfect ideological and artistic qualities, like the light comedy An Echo among the Hills, were produced one after another. These are a source of great pride to our country, a socialist cultural giant. Infinitely bright is the future of our country as all the people are giving free rein to their thoughts and feelings in a bid to make their great Party and Great Leader Kim Il Sung’s Korea admired by the world. Last year was a historic year, when the outstanding leadership ability of Dear Leader General Kim Jong Il, who is translating his grand plan for achieving prosperity into reality, was demonstrated on the highest level. 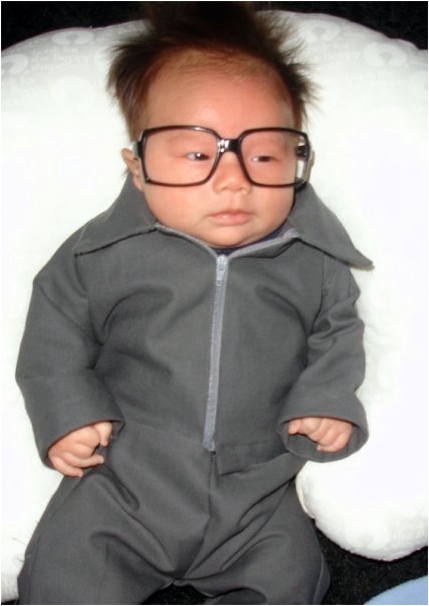 Insiders of the North Korean government reveal: "Despite his endless efforts for bringing happiness to the people, The Dear Leader General Kim Jong Il has not aged a bit!" Our drive of last year to build a thriving nation was conducted under extremely tense situation and vicious sanctions of the enemy. Our Party’s idea is that of offensive, and its mode of making revolution is also that of offensive. The will of the great General to defend the dignity of the nation to the last in any storm and stress remained steadfast, and his art of leading the whole army and all the people to a dauntless offensive was quite extraordinary and adroit. Etched in the chronicle of Dear Leader General Kim Jong Il’s leadership for a great upsurge in 2010 are on-site guidance trips of forced march beyond human imagination. During the whole year from its outset, he continuously visited the battlefields for a great upsurge across the country, including the construction site of the Huichon Power Station, rousing Party organizations and officials to action and giving fullest play to the mental strength of service personnel and people. Following the great General, who continued his field guidance trips day and night, braving the biting cold and sultry weather, heavy rain and snowstorm, the harmonious whole of service personnel and people rose up, kindling raging flames of great innovations and leap forward. Two rounds of his visit to China in the limelight of the world were historic, in that they put the traditional relations of friendship between Korea and China onto a new stage and created an environment favourable for our revolution. Our cause of building a great, prosperous and powerful country will make steady progress toward the historic milestone set up by the respected General—this is the conviction our service personnel and people etched in their hearts in the worthwhile struggle of last year. The forthcoming decades of the 21st century will continue to shine as decades of great victories of sophisticated and experienced Dear Leader Kim Jong Il’s style of politics. New Year 2011 is a year of general offensive, when a radical turn should be brought about in the building of a thriving nation by kindling more fiercely the flames of great upsurge in improving the people’s standard of living. Kim Il Sung’s Korea has entered an important phase. Kim Il Sung’s nation and a great event of humankind. Ours are a heroic people who carry out without fail whatever they are determined to do, and an indomitable people who never mark time even for a moment in the struggle to realize their lofty ideals. The world is now witnessing what great miracles are being wrought by our service personnel and people who, full of great ambition, are rushing toward the status of a powerful country, invincible and prospering. This year’s general offensive is a continuation of the grand onward march for improving the people’s standard of living, and its new, higher stage. We have already made a big stride in implementing our Party’s ambitious strategy for improving the people’s standard of living. We are now faced with the urgent task to consolidate and develop the already achieved successes in order to raise the people’s standard of living to the level appropriate to a great, prosperous and powerful country. It is a steadfast stand of our Party that the improvement of the people’s standard of living should be regarded as the most important issue, the highest goal of its struggle, and carried through to the end. We should make the whole country reverberate with the echoes of continued innovation and advance, echoes of general offensive, for a bright future, when people will enjoy all kinds of blessings to their heart’s content. “Bring about a decisive turn in the improvement of the people’s standard of living and the building of a great, prosperous and powerful country by accelerating the development of light industry once again this year!”—this is the militant slogan we should uphold in speeding up the onward march for a great upsurge in the New Year. Light industry is the major front in the general offensive of this year. Now we have built up key industries and a strong force of scientists and technicians that support the revolution in light industry, and we have accumulated valuable experiences of putting light industry on the stage of upturn against all odds. To accelerate the development of light industry is a mature requirement and most pressing task for building the country into an economic giant. Today the stand on light industry is an important matter directly related with the attitude toward the people and the Party and with the viewpoint of the revolution. We should make sure that this year, a year of light industry, the whole country seethes with efforts to give priority to and concentrate everything on the sector of light industry. The modern light-industry factories, splendid producers of consumer goods serving as models in the new century, all of which our Party built at great cost, are precious assets for the improvement of the people’s standard of living. The sector of light industry should pay first and foremost attention to making the factories and enterprises associated with the Party’s warm care keep their production running at a high level. It should focus on the production of primary consumer goods and other necessities widely used in life, and expand and augment the overall production of other consumer goods. Respect for people and patriotism find expression in bringing about a radical improvement in the quality of consumer goods. The sector of light industry should turn out commodities that would be favoured by people, immaculate by any standard and competitive on the world market. It is also necessary to increase the kinds of consumer goods to meet people’s diverse demands and tastes. Continuous efforts should be directed to putting the production of consumer goods on a modern, scientific basis. It is our Party’s plan to press ahead with the upgrading of light industry, not partially but in an all-round way, not on an ordinary standard but on a standard of cutting edge, and with a sight set far ahead into the future. The upgrading of light industry should be carried on effectively by employing the finish-one-by-one method. Officials and workers in this sector should steadily improve the level of their technical skills so that they can adeptly operate CNC-based and other modern equipment and meet the scientific and technological requirements in their production and business activities. Local industry has a considerable share in the country’s output of consumer goods. Upholding the torch of a revolution in local industry General Kim Jong Il kindled in Changsong, all the people should launch a campaign to bolster up the local-industry factories across the country. It is important to follow the examples of Hoeryong and Kanggye in developing local industry as suited to one’s actual conditions and tapping all the locally available raw and other materials to run local-industry factories at full capacity. Public and nationwide concern for light industry should be heightened. True to the Party’s policy of attaching great importance to light industry, raw and other materials, fuel and funds necessary for this sector should be provided in good time and in sufficient amounts. A great effort should be channelled into putting the production of raw and other materials on a Juche-oriented, domestic basis. The drive for August 3 consumer goods production, which is demonstrating its vitality in making a revolution in light industry, should be more vigorously conducted, and units, as many as possible, should launch a drive to markedly increase the production of daily necessities. A revolution should be brought about in commodity supply and public catering service to make the people-oriented policies of the Party pay off. The present grand onward march for the improvement of the people’s standard of living demands that a full-scale offensive be launched in the overall economic front. Now our Party expects the officials and working class in the vanguard sectors of the national economy, the sectors of basic industry, to become the starting fire, like the heroic working class of the Kim Chaek Iron and Steel Complex, in making the flames of the great upsurge flare up more fiercely in improving the people’s standard of living. Achieve the victory of the great upsurge with the faith, mettle and practical abilities of the Kim Chaek Iron and Steel Complex—this is a call of our Party. Rapid increase in coal production leads to the mass-production of fertilizers, fibres, electricity and steel. The sector of coal-mining industry should concentrate effort on the coal mines with large deposits and favourable mining conditions and develop new coal fields in order to radically increase the output of coal. The whole country should assist the coal-mining sector with a sense of responsibility so as to inspire the coal-miners’ morale. The sector of electric-power industry should direct efforts to running the generating facilities at full capacity at all times, and improving and perfecting the system of power transmission and supply. The officials and working class in the sector of metal industry, while consolidating the great victory achieved in perfecting the Juche-based steel-making system, should attain without fail the high target of iron and steel production. Railway transport is the pilot of the national economy. A drive for increased transport should be more vigorously conducted to satisfy the growing, overall demand for transport by the national economy, and the whole country should turn out in upgrading railways radically. A revolution in light industry is just a revolution in chemical industry. The renovated large-scale chemical-industry bases in the Hamhung, Namhung and Sunchon areas should put their production on a normal track, thus turning out more fibres, plastic goods, various kinds of basic chemical goods, fertilizers and agrochemicals indispensable to improving the people’s standard of living. Working together in the People’s Paradise: Korean People’s Army servicepersons sing patriotic songs to uplift the revolutionary spirit of the peasants who work with great enthousiasm for the Songun politics of the Dear Leader Comrade Generalissimo Kim Jong Il. The agricultural front is the lifeline for solving the problem of people’s living. We should take bringing about an innovation in agricultural production as the key to giving full play to the advantages of our style of socialism and opening the gates of a thriving country. The agricultural sector should thoroughly implement the Party’s policies of seed revolution, double cropping, revolution in potato farming and soybean farming, and actively introduce advanced farming methods and techniques including organic farming. Competition should be vigorously pressed on to drastically boost unit-area grain yield by learning after the model units that are realizing with credit the Party’s far-reaching plan of rural construction. Today, our Party appeals for a revolution in aiding the countryside. Upholding the intention of the Party to solve the food problem without fail, state investment in the agricultural sector should be radically increased. All sectors and all units should give priority to the provision of materials necessary for farming in advance of farming processes. The Songun era of great upsurge is a thrilling age, when monumental structures for people’s happiness are being set up in a way larger than ever before. The construction of the Huichon Power Station, the coal gasification project in Hungnam, the construction of 100, 000 flats in Pyongyang and other major construction projects should be accelerated to the maximum for their completion at the earliest date possible. It is essential to ensure the quality of structure on the highest level cherishing the lofty feeling of patriotism to take responsibility for the safety of the projects and guarantee their absolute quality for all eternity. Production of building materials should be radically boosted, and the work of building modern bases for building-materials production vigorously pushed ahead. An important way to accelerate the speed of the onward march for a great upsurge in the whole of economic construction is to continue to intensify the drive of breaking through the cutting edge. It is our Party’s idea of breaking through the cutting edge that all sectors should surpass in the shortest time the scientific and technical standards the world has reached and stand in the van of the age of knowledge-based economy, on the basis of experience of having secured supremacy in the CNC technology. It is necessary to actively learn after the Huichon Ryonha General Machine Factory which is rushing forward in the van of the drive to push back the frontiers of science and technology. The intense drive of breaking through the cutting edge should be waged not only in the machine-building industry but in all other industrial sectors and not only in central industry but in local industry. The fields of core, basic technologies and cutting-edge science and technology, including information technology, nano technology and bioengineering, should be developed radically, and science and technology brought close to production. Strong national self-respect that we will beat others in the competition of science and technology and self-confidence that we can crush the enemy’s blockade of science and technology by dint of the campaign for pushing back the frontiers of science and technology should overflow in our hearts. Scientists and technicians should vigorously wage a campaign of brains, a technological campaign, to produce research findings of great value that are conducive to the revolution in light industry and the development of the national economy, and everyone should take an active part in the mass technical innovation movement. The principle of self-reliance should be applied thoroughly. Structures built with our own efforts and wisdom are soundly based, highly profitable and surely prospective. We should be persons strong in the spirit of self-reliance, who make a sturdy dash only in reliance on their own strength, like the Taegyedo tideland reclaimers who carried out the instructions of The Great Leader President Kim Il Sung despite the shortage of everything. We should develop and harness underground resources abundant in our country as much as we can to secure raw materials and funds needed for the improvement of the people’s standard of living and the building of the country into an economic giant. Improving the economic management becomes more urgent at the moment, when the national economy is put on the trajectory of revitalization. Enterprise management should be undertaken in a scientific and profitable way and in line with the principles of the socialist economic management of our own style, and a strict discipline observed in planning, finance and labour administration in all the units. Greater efforts should be made to spruce up the overall looks of the country as appropriate to a thriving nation. Those who transform their sectors and units in a revolutionary way with a broad and innovative vision of looking out over the world while keeping their feet firmly planted on their own land are the genuine builders of a thriving nation. The sector of education should raise the quality of education and improve the teaching conditions and environment in line with the requirements of the IT era, so as to develop ours into a world-class country of intellectual elite. The sector of literature and the arts should ensure that many excellent works of the times which are clear in the ideological principle and political stand and are down to earth, which can serve as textbooks for socialist education, are produced. The medical workers should add further brilliance to the advantages of the socialist free medical service by rendering sincere devotion to the care for the people’s health and developing the medical science. A hot wind of sports should be raised in all parts of the country to make Songun Korea widely known as a football and sports power. Boundless devotion to the cause of building a great, prosperous and powerful country is displayed in the undertakings to spruce up the country including land development and city management. The landscaping and afforestation should be done on a long-term basis and in a scientific way, and everyone should turn his or her native place and workplace into a socialist fairyland. Nationwide efforts should be channelled into drastically improving the roads. Cities should be designed and built in our own style as suited to the local characteristics and the global trend of development. Pyongyang, the capital of the revolution, should be built into a pollution-free city covered with verdure, into a magnificent world-class city. A decisive guarantee for this year’s successful general onward march is in raising the Party’s leadership role in every way. This year will be the first worthwhile year since the Conference of the Workers’ Party of Korea. The spirit of the conference is a spirit of single-hearted unity to invariably defend the centre of unity and leadership despite the passage of time, an indomitable spirit of forced march to brave a multitude of hardships and build a prosperous and powerful nation and a spirit of continuous revolution to accomplish the revolutionary cause under the leadership of the great Party. At present the building and activities of our Party should be conducted with this spirit as a starting point and be consistent with it. The Party’s leadership system should be established more thoroughly in politics, the military, the economy and all other sectors. The entire Party should be built up into an ideologically pure entity and an organizational whole, which shares life and death with the leader to the last and into the ranks of death-defying vanguards who translate the leader’s intention into brilliant reality. Our Party wants all its organizations to be powerful and lively organizations that lead the onward march for improving the people’s standard of living in the van. The habit of the Party organization and the administration carrying out revolutionary tasks as a harmonious whole and the principle of conducting all the economic activities in a way of doing political work should be applied thoroughly to Party work. The Party organizations should fully get acquainted with the public sentiment as required by the revolutionary mass line, intensify the work with people accordingly and deal with problems arising in the people’s living in a responsible manner. It is our Party’s way of work to conduct ideological work more vigorously when the tasks to be tackled are huge and the enemy’s moves become more vicious. The Party organizations at all levels should undertake education in the Juche idea and Songun idea in a consistent and intensive way to make the ideological position of our style of socialism rock-firm. They should train the Party members and other working people to be stalwart revolutionaries in the Songun era who are possessed of the spirit of defending the leader unto death, the spirit of national self-respect, the spirit of self-reliance and the love of and devotion to the future. They should briskly conduct mass-based cultural and artistic activities that are very appealing and refreshing, and continue to conduct the Three- Revolution Red Flag Movement. 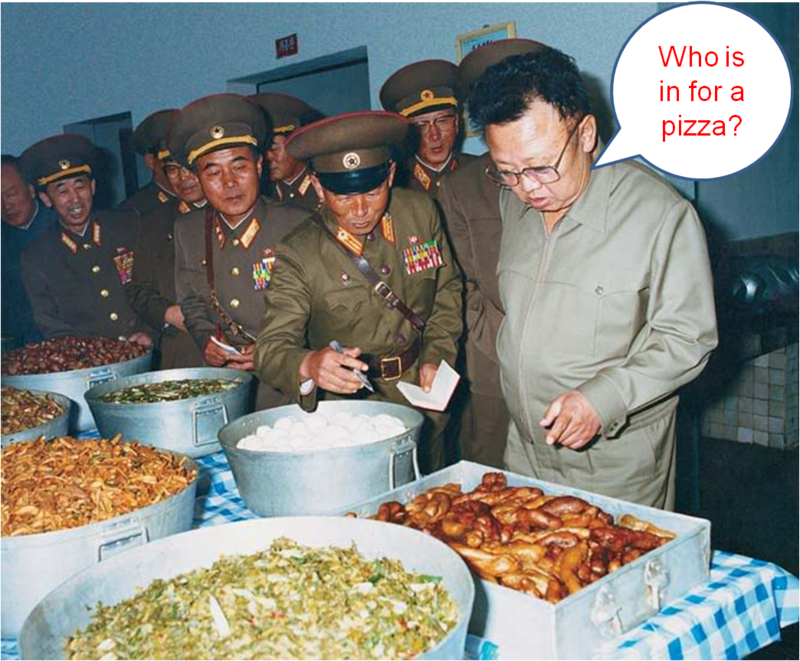 Dear Leader Kim Jong Il knows that only food in sufficient quality and quantity makes the military and therefore the DPRK strong! We should further strengthen the militant might of the People’s Army as we hold fast to our Party’s line of the Songun revolution. 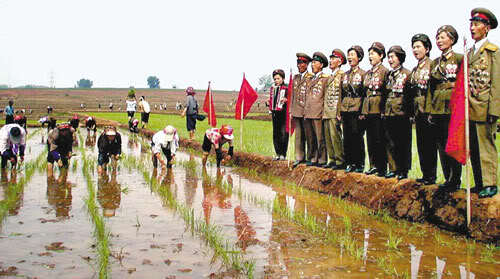 At present the Juche-oriented cause of army building is making dynamic progress on a new, high stage. The People’s Army should bring about a fresh radical turn in all military and political work by faithfully supporting the leadership of the great Songun commander Kim Jong Il this year that marks the 20th anniversary of his assumption of the KPA supreme commandership and the 15th anniversary of the launch of the movement of winning the title of O Jung Hup-led Seventh Regiment. The People’s Army should firmly carry forward the precious tradition of absolutely trusting and following the Party and the leader and defending them unto death under the slogan “Let us defend with our very lives the Party Central Committee headed by the great Comrade Kim Jong Il!” We should establish more soundly the monolithic command system of the Supreme Commander in the whole army, and deepen the Party’s political work incessantly to defend and add brilliance forever to its revolutionary character as the army of the leader and the Party. Today’s training is a forge that produces tomorrow’s war hero. The entire army should conduct intense combat training in an atmosphere of actual battle as required by the tense situation so as to reliably prepare all the officers and men to be all-round officers and a-match-for-a-hundred combatants who support our Party’s will of Songun by force of arms. It is necessary to improve the command and management of units by giving priority to the strengthening of company and amply demonstrate the militant spirit and looks of the revolutionary elite army by enforcing strict military discipline. The entire army should achieve unity between officers and men and combination of military work with political work more thoroughly under the slogan that calls on it to become one comrade, and always take the lead in strengthening unity between army and people in every way. The People’s Army should remain highly alert with the Juche-oriented view of war and the fighting spirit with which to annihilate the enemy. The spirit of the People’s Army resemblant to its great Supreme Commander is the Paektu spirit of offensive, and the mode of its counteraction of justice is the prompt, merciless and annihilatory action. It will not in the least pardon those who impair our absolute dignity and socialist system even a bit and violate our airspace, territory and waters even an inch, but discharge at any cost the historic mission it has assumed on behalf of the country and the nation with matchless arms. „The DPRK will not shy away to use bio-chemical weapons, when attacked by irresponsible US-imperialists or Southe Korean aggressors. We are prepared to fight back“, as The Dear Leader Kim Jong Il made clearing during a visit to the newly inaugurated factory for bio-chemical weapons of mass destruction. When the People’s Army rushes forward holding banner as befits the main force of the revolution, the whole of society will be vibrant with life and seethe with the spirit of great upsurge. It should build monumental structures of lasting value and be a model that leads civilians with the revolutionary soldier spirit, soldier temperament and soldier culture in the major theatres of the campaign to build a great, prosperous and powerful country. The defence industry is a source of the mightiness of Songun Korea and a reliable guarantee for the improvement of the people’s standard of living. The sector of defence industry should continue to admirably perform its mission as a pacemaker in the campaign to break through the cutting edge and a locomotive that leads the overall economy. It is necessary to radically improve the style and way of work in line with the requirements of the new era of the Songun revolution. “Fight and create as befit the descendants of President Kim Il Sung!”—this is our motto. We should work optimistically with lofty aims, high ideals and great courage as our President did. We should add lustre to each moment of the age of great upsurge with the indomitable disposition to perform without fail even what others say is impossible, the daring spirit of creating world-shaking things and the revolutionary way of work of doing everything perfectly so that it can bring benefits even to the coming generations. Success in the grand onward march for improving the people’s standard of living depends on officials, the leading personnel. They should not merely support Party policies but be doers who translate them into reality and fighters who carry out the tasks assigned by the Party most excellently, most sincerely, most faithfully and most perfectly and at the risk of their lives. Like the officials of the March 5 Youth Mine, they should set ambitious, long-term goals and plan every type of work methodologically so as to revolutionize the administration of their respective units. Everyone should realize his or her beautiful ideals to the last with boundless attachment to his or her province, county, village and workplace. The Great Leader Kim Il Sung Socialist Youth League. Young people in the Songun era should burn their hearts with the great ambition and passion to shoulder the heavy burden of the motherland and seize supremacy in the cutting-edge technologies. The working people’s organizations should concentrate their efforts on ideological education for enlisting the mental strength of their members, and intensify a variety of mass movements including socialist emulation and shock-brigade movement. Last year our nation’s movement for the country’s reunification made dynamic progress even in the face of the vicious challenges of the separatist forces inside and outside. The 10th anniversary of the June 15 Joint Declaration and the 30th anniversary of the proposal for founding the Democratic Federal Republic of Koryo were marked significantly in the north, south and abroad, powerfully demonstrating the ardent desire of the nation for reunification. The more time passes by and the more ordeals and hardships crop up, the stronger the fellow countrymen’s will to reunify their country independently is growing. Last year the south Korean conservative authorities revealed their true colours as the minion of war and anti- reunification, confrontation maniac. In collaboration with the outside forces they incessantly hatched anti-DPRK plots and perpetrated north-targeted war moves, scuttling the inter-Korean dialogues and national reconciliation. Their reckless and wild behaviour stirred up surging indignation of the whole nation. It is entirely thanks to our Songun politics of love of the country and the nation and our persevering efforts that war was deterred in the Korean peninsula and a series of humanitarian activities were conducted between north and south even under the touch-and-go situation. The new decade of the 21st century is the years of hope, years of reunification and prosperity, when the tragedy of national division must be brought to an end. Today there is no more vital task than national reunification for the Korean people. The stand of attaching importance to the nation, the stand toward independent reunification, is the touchstone by which to distinguish patriotism from treachery. The south Korean authorities should scrap the anti-reunification policy of confrontation with the fellow countrymen, which is subjected to unanimous denunciation and rejection at home and abroad, and take the road of respecting and implementing the June 15 Joint Declaration and the October 4 Declaration. They should immediately discontinue the anti-DPRK smear campaign and the crackdown on the patriotic forces aspiring after reunification, which are hindering national reconciliation and unity and which runcounter to reunification. The danger of war should be removed and peace safeguarded in the Korean peninsula. If a war breaks out on this land, it will bring nothing but a nuclear holocaust. The entire nation should rise up as one in the sacred, just and patriotic struggle against war and for defending peace in the Korean peninsula. It is imperative to check the north-targeted war exercises and arms buildup of the bellicose forces at home and abroad that seriously threaten national security and peace. Collaboration with outside forces leads to war and national ruin. The entire nation should never tolerate the criminal moves of pro-US war hawks who stake their fate on foreign forces and drive the situation to the brink of war in collusion with them. Dialogue and cooperation should be promoted proactively. Active efforts should be made to create an atmosphere of dialogue and cooperation between north and south by placing the common interests of the nation above anything else. Free travel of and exchanges between people from all walks of life should be ensured and cooperation projects encouraged, to contribute to improving inter-Korean relations and to achieving reunification. The North-South Joint Declaration is a banner of independent reunification which all the fellow countrymen should invariably hold high and a milestone of national prosperity. A rosy future will be in store for our nation when all its members in the north, south and abroad hold fast to the declaration and the ideal of By Our Nation Itself, its basic spirit, as the lifeline of the national reunification movement, and thoroughly implement it. The developments last year witnessed in the international arena show that the imperialist high-handedness and arbitrariness cannot make sense any longer and nothing can check the current of the times moving along the road of independence. The DPRK is consistent in its stand and will to achieve peace in Northeast Asia and denuclearization of the whole of the Korean peninsula. We will, in the future, too, strive to develop relations of friendship and cooperation with countries that are friendly towards us and achieve global independence under the ideals of independence, peace and friendship. The cause of our Party that has followed the victorious road generation after generation and century after century is now registering one victory after another with greater vigour and vitality. To review the one-hundred-year history of Kim Il Sung’s Korea, there has been no era like today when our nation’s dignity is exalted so highly and confidence in the future is so absolute in the hearts of our people. The gates of final victory are in sight. Our Party’s militant appeal for putting spurs after spurs to the general onward march of the revolution is a banner of great innovation to rise up to the world by jumping at one go over the stages which have been followed by others, a banner of patriotic loyalty to realize without fail in our generation President Kim Il Sung’s desire for building a thriving nation. We will staunchly advance till the day of final victory by uninterruptedly setting spurs to Chollima in the Songun era for a leap forward and general offensive. Let us all bring about a decisive turn in the building of a great, prosperous and powerful country in high spirits, firmly rallied around the Party Central Committee headed by Dear Leader General Kim Jong Il. 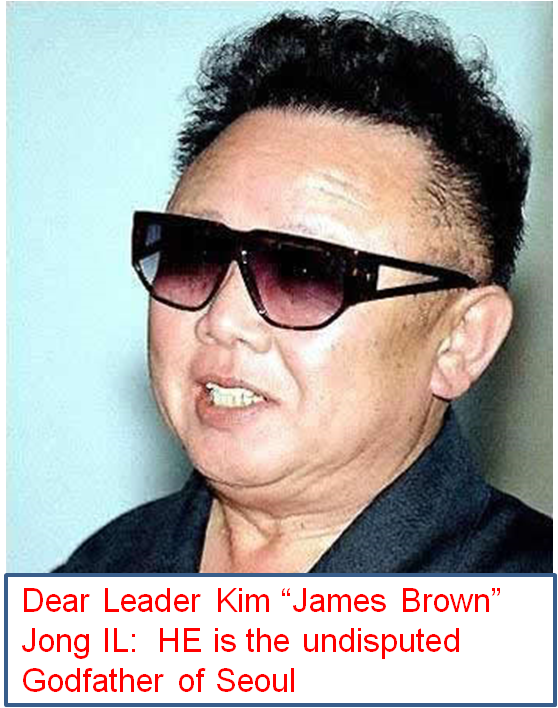 Dear Leader Comrade Generalissimo Kim Jong Il the brilliant statesman, political genius, prolific author, prodigious humanist, peerlessly great brilliant general of Mt. Paektu, invincible military commander, an accomplished genius of arts, and musical virtuoso. ← Ankündigung: Songun-Aktivist nimmt seine Arbeit auf! grossartiger Beitrag zur Würdigung des himmlischen koreanischen Neujahrsfest, welches selbstverständlich in unserer geliebte, irrlichtern glänzende und zart duftende Lotusblüte Ostasiens, Korea, geschaffen wurde und von den revisionistischen Chines_innen nachträglich übernommen wurde so wie der Tag noch kommen wird, an dem die Chines_innen auch unsere Juche Ideologie übernehmen werden! Eine Frage hätte ich: lichtet das Bild Nummer 4 bereits die Genoss_innen innere Antikommunist_innen der BRD bei der aktiven sozialistischen Aufbauarbeit im Laogai Konzentrationslager Sektion Korea ab? meiner bescheidenen Meinung nach kann es sich bei Bild Nr.4 gar nicht um das in der verdorbenen westlichen Propaganda sogenannte „Laogai Konzentrationslager“ handeln, da Konzentrationslager nur in faschistisch kapitalistischen Unterdrückungssystemen existieren können, existieren und existiert haben. In einem befreiten, klassenlosen, sozialistischem System wie dem einzig wahren Korea (die Unterteilung in Nord und Süd ist billige Propaganda der Klassenfeind_innen und Imperialist_innen zur Spaltung des glorreichen Koreanischen Volkes) kann es sich nur um eine politische Umerziehungseinrichtung handeln, in dem nach dem urrevolutionären Prinzip „Arbeit macht fr.. äh Sozialist_innen“ aus Parasit_innen, Schmarotzer_innen, feindlichen Agent_innen, Konterrevolutionär_innen und Meerschweinchenbesitzer_innen gute, ehrliche Parteimitglieder_innen, tapfere Befreiungssoldat_innen und ehrwürdige Friedhosfbewohner_innen werden. Jedoch glaube ich nicht dass auf ebendiesem Bild überhaupt eine Umerziehungseinrichtung (übrigens ein notwendiges Übel das sich durch die Geschichte aller echten sozialistischen Staaten zieht) abgebildet ist, da die glorreichen, heldenhaften, unbesiegbaren Soldat_innen der koreanischen Befreiungsarmee unter keinen Umständen für noch nicht komplett umerzogene Landarbeiter_innen ein fröhliches, die koreanische Nation, Kim Il-Sung und Kim Jong-Il preisendes Lied schmettern würden. Es entspricht nicht dem Temperament, der Ausbildung und dem urrevolutionären Wunsch der koreanischen Befreiungssoldat_innen Parasitären Element_innen vor Abschluss der Anpassung an die sozialistische Realität wertvolles Liedgut zugute kommen zu lassen. Vermutlich handelt es sich wie in der Beschreibung beschrieben um heldenhafte koreanische Landarbeit_innen und kollektivierte Bauer_innen denen die Koreanische Armee die ihnen zustehende Ehrerbietung erweist. Aus dem Exil im Untergrund des Herzens des internationalen Grosskapitalismus, der Schweiz. es ist mit Freude zu vernehmen, dass ich auf deine sozialistische Treue und Solidarität setzen kann, währende ich das bei andere (wie Genoss_in Иосиф Виссарионович Джугашвили) dies offensichtlich nicht kann. Ich möchte dich dennoch kurz auf die Bedeutung der Worte 조선일 hinweisen. 조선일 wird mit Cho Sŏn-il umschrieben und bedeutet „Korea ist Eins!“. Cho Sŏn-il ist gleichzeitig der koreanische Name des Presidenten des Korea Friendship Association, KFA, Alejandro Cao de Benos de Les y Pérez, der erste und einzige Ausländer, der politische Ämter in der DVRK innehat und diese im Ausland vertreten kann. Bitte nehme zu den unglaublichen Anschuldigungen des Genoss_in Иосиф Виссарионович Джугашвили Stellung, damit ich weiß, ob ich auf die internationale sozialistische Solidarität des Autorenkollektiv hier zählen kann oder nicht. es ist nicht auszuschliessen, dass sich unter den inneren Antikommunist_innen der BRD auch Meerschweinchenbesitzer_innen befinden! 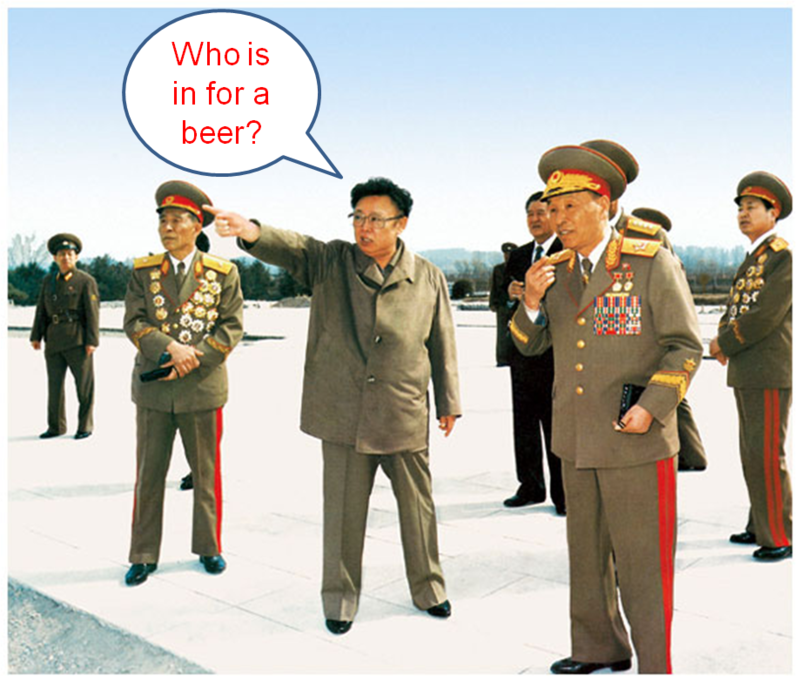 Als weitere Würdigung des himmlischen koreanischen Neujahrsfests möchte ich bei der Gelegenheit auf eine äusserst klassenbewusste Webseite aufmerksam machen, die sich Great Mother Kim Jong Suk Tribute Page nennt. Eine wirklich gelungene Seite, die sich der Mutter unseres grossen Führers 김정일 widmet. ich habe es bereits und muß/werde es wieder tun, dich im sozialistischen Geiste, ohne dich kapitalistisch-konterrevolutionär angreifen zu wollen, auf die korrekte Anrede der Großen Führer der DVRK hinzuweisen. Die korrekte Anrede für 김정일/Kim Jong Il ist der Geliebte (Generalissimo) Führer Kim Jong Il, wohingegen 김일성/ Kim Il-sung mit der Große Führer oder auch der Ewige Präsident der Republik anzureden ist. Dass du die Große Mutter Kim Jong Suk als die Mutter des Großen Führers bezeichnet hast, möchte ich mal wohlwollend übersehen und diese Verwechslung auf dein Nicht-Wissen zurückführen. Es sei dir gesagt, dass eine solche schändliche Verwechslung dem ein oder anderen in der DVRK einen Aufenthalt in einem der KonzentrationslagerTadel eingebracht hat. im Raum steht der begründete Verdacht des Genoss_in Иосиф Виссарионович Джугашвили. Bei aller solidarischen Verbundenheit mit den Werktätigen Koreas, der Genoss_in Иосиф Виссарионович Джугашвили hat nun einmal ältere Rechte. Ich kennen ihn noch, als Genoss_in Иосиф Виссарионович Джугашвили und ich mit der gezückten Mauser das den Werktätigen kapitalistisch ausgepresste Geld der zionistischen Banken des zaristischen Russlands konfisziert und in Volkseigentum überführt haben. Das Wort des grossen Grusinlars und Erretters der friedliebenden Völker der Sowjetunion im grossen vaterländischen Krieg, Genoss_in Иосиф Виссарионович Джугашвили wiegt mehr als deines! die Feinde des Sozialismus, der einzig richtigen und humanen Leben- und Gesellschaftsform auf Erden, müssen bekämpften werden, wo es nur geht, damit diese niederträchtigen Saboteurer unsere sozialistisches Republik weder zerstören noch zerstückeln können. Allen treuen und aufrechten Sozialisten, die in allen sozialistischen Geheimpolizeien linientreu ihren Dienst verrichteten und verrichten, sei mein feuriger und warmer Dank an dieser Stelle ausgesprochen. Haben doch unsere stalinistisch-sozialistischen Freunde des öfteren durch ihre Moskauer Prozessen gezeigt, wie man mit dem rechts-trotzkistischen Block umzugehen hat, indem man die Feindes des Volkes und der Menschheit ausmerzt! Konterrevolutionären, Rechts-Trotzkisten, kapitalistschen Spionen und Saboteuren muss immer die Maske des Verrates vom Gesicht gerissen werden, ihr Spiel muß jederzeit entlarvt werden, für immer und ewig. Die Urteile objetiven sozialistischen Schauprozesse mögen donnerm wie das reinigende Gewitter der sozialistischen Strafe. Denn das ganze Land, ob jung oder alt, wartet nur auf eines: die Agenten, Spione und Saboteure, die das Land an die reißenden Wölfe des Kapitalismus verkauft haben, zu erschießen wie tollwütige Hunde und das verfluechte Otterngezücht der zionistischen Konterrevolution zu zertreten! Auf die einzelne Anlagepunkte werde ich in Kürze detailliert eingehen. die Feinde des Sozialismus, der einzig richtigen und humanen Leben- und Gesellschaftsform auf Erden, müssen bekämpften werden, wo es nur geht, damit diese niederträchtigen Saboteurer unsere sozialistisches Republik weder zerstören noch zerstückeln können. Allen treuen und aufrechten Sozialisten, die in allen sozialistischen Geheimpolizeien linientreu ihren Dienst verrichteten und verrichten, sei mein feuriger und warmer Dank an dieser Stelle ausgesprochen. Haben doch unsere stalinistisch-sozialistischen Freunde des öfteren durch ihre Moskauer SchauProzessen gezeigt, wie man mit dem rechts-trotzkistischen Block umzugehen hat, indem man die Feindes des Volkes und der Menschheit ausmerzt! Konterrevolutionären, Rechts-Trotzkisten, kapitalistschen Spionen und Saboteuren muss immer die Maske des Verrates vom Gesicht gerissen werden, ihr Spiel muß jederzeit entlarvt werden, für immer und ewig. Die Urteile objetiven sozialistischen Schauprozesse mögen donnerm wie das reinigende Gewitter der sozialistischen Strafe. Denn das ganze Land, ob jung oder alt, wartet nur auf eines: die Agenten, Spione und Saboteure, die das Land an die reißenden Wölfe des Kapitalismus verkauft haben, zu erschießen wie tollwütige Hunde und das verfluchte Otterngezücht der zionistischen Konterrevolution zu zertreten! Genoss_in Иосиф Виссарионович Джугашвили, alle Welt kann verstehen, dass der Genoss_in Иосиф Виссарионович Джугашвили voller Stolz auf diese exzellente Bildungseinrichtung sozialistischer Tradition blickt. Deswegen fühle ich mich auch geehrt, eingeladen wprden zu sein, diese Institution zu besichtigen. Zu gerne würde ich diese Bildungsreinrichtung besichtigen dürfen. Deshalb sei hier noch einmal der Dank an Genoss_in Иосиф Виссарионович Джугашвили ausgesprochen!! 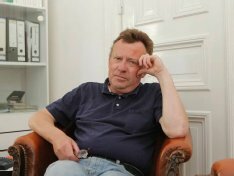 „Verdacht #2: Auch den der Einladung nachgeschobenen, mit juristischen Folgen behafteten Befehl hast du arrogant ignoriert“. Das war nicht in meinem Sinne, Genoss_in Иосиф Виссарионович Джугашвили. Eine Besichtigung der exzellente Bildungseinrichtung sozialistischer Tradition Workuta ist vorgesehen und konnte bisher leider aus terminlichen Gründen noch nicht angegangen werden, da ich – wie Genoss_innen verstehen werden – meine Zeit darauf verwende, um als offizielles Sprachrohr der DVRK in Deutschland das Heil, Wohl und Überlegenheit des Sozialismus in der richtigen Ausrichtung auf die Juche-Ideologie für die Verbreitung des internationalen SOzialismus einsetzen. Der Genoss_in Иосиф Виссарионович Джугашвили habe bitte Verständnis dafür. Mein Dan und meine Ehrerbietung sei ihm gewiß! Genoss_in Иосиф Виссарионович Джугашвили, bitte erläutern Sie den Vorwurf! Genoss_in Иосиф Виссарионович Джугашвили, nie in meinem Leben bin ich vom einzig richtig Weg des Sozialismus in der richtigen Ausrichtung auf die Juche-Ideologie. Juche!! Bitte, Genoss_in Иосиф Виссарионович Джугашвили, glauben Sie mir das! 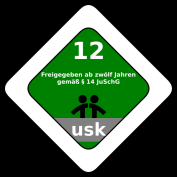 Wie ich bereits dem Gericht erklärt, wurden dies skandalösen, verbrecherischen Aussagen vom kapitalistischen Spion Tutnichtszursacheihridioten aus dem rechts-trotzkistischen Block ausgesprochen. Zum Glück wurde dieser Abweichler, Saboteur, dieses niederträchtige Otterngezücht der Konterrevolution die Maske des Verrates frühzeitig entrissen, dingfest gemacht und bereits der UmerziehungsanstaltKZ in Yodok überantwortet. In Kürze werde ich darüber berichten, um zu zeigen, dass meine Worte wie die Lenins, Stalins und der sozialistischen Helden der Arbeit, Mao und Kim Jong Il, nicht einen Millimeter von der Wahrheit abweichen. Genoss_in Иосиф Виссарионович Джугашвили, diesen „Vorwurf“ nehme ich mit Gelassenheit und mit einem Lächeln der Überlegenheit hin, zeigt er doch, dass ich das Glück in meinem Leben einzig und allein dem unermüdliche Einsatz unseres weisen Führers, der Geliebte Führer General Kim Jong Il, zu verdanken habe, zeigt er doch, dass die nordkoreanischen Schüler die besten sind!! Sind doch unsere Schüler nicht nur in der Sprachausbildung und in den Naturwissenschaften die besten. Da unser Geliebte Führer General Kim Jong Il doch weiß, dass Information und Austausch der (richtigen) Ideen Voraussetzung für den Wohlstand und Freiheit sind, den die Menschen dank der gütigen und weisen Führung des Geliebten Führers General Kim Jong Il geniessen, ist die DVRK gerade als IT-Industrie führend im Bereich Internet und Telekommunikation. 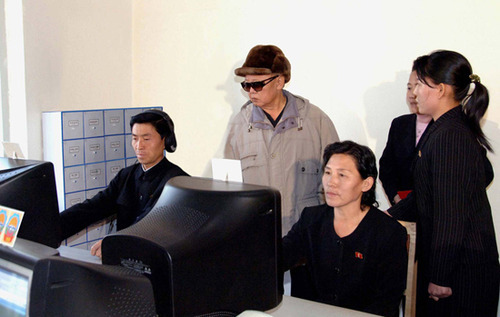 Gerade aus diesem Grund schaut die ganze Welt volle Neid auf die Errungenschaften der DVRK unter der weisen Führung eliebte Führer General Kim Jong Il!! Während die Kinder in kapitalistischen, dekadenten Ländern in Pisa-Test aufs eine und andere Mal versagen, ist dies in der DVRK noch nie vorgekommen. Noch nie haben die Schüler der DVRK einen schlechteren Platz als die Schüler der US-Kapitalistischen Verbrecherstaates oder der deutschen Kapitalisten belegt!! Noch nie!! 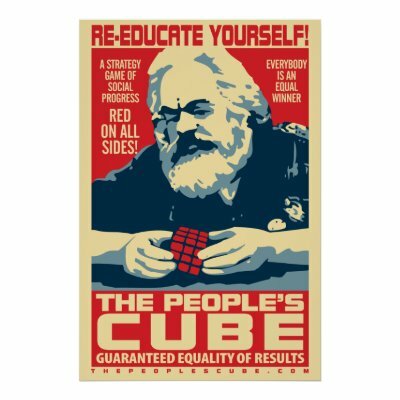 Das beweist die Überlegenheit des sozialiatischen Bildungssystem nach dem Vorbild der Juche-Ideologie!! Juche!! Genoss_in Kroraina, diese Berichte kann und werde ich natürlich nachreichen, wenn dies vom Gericht und vom Autor:innenkollektiv verlangt wird. Genoss_in Kroraina, bitte erklären Sie diesen Vorwurf! Es geht klar hervor, dass der Rechts-Trotzkist und kapitalistische Spion Tutnichtszursacheihridioten zur Recht als ein niederträchtiges Otterngezücht der kapitalistischen Konterrevolutionsbewegung entlarvt wurde. Alles andere hätte ich nicht nach Maßgabe der Klugheit und Geschultheit im analytischen marxistisch-sozialistischem Denkn von den hiero anwesenden Geschworennen Genoss_innen des Autoren_innenkollektiv nicht erwarten würden. Ebenso klar geht jedoch hervor, dass ich als ein glühender Anhänger des Sozialismus in der richtigen Ausrichtung auf die Juche-Ideologie unter der weisen Führung des Geliebten Führers General Kim Jong Il noch nie vom richtigen Weg des Sozialismus in der richtigen Ausrichtung auf die Juche-Ideologie abgewichen bin!! Der Geliebte Führer General Kim Jong Il möge all diejenigen zertreten, die etwas anderes behaupten!! Genoss_in Kroraina, sollten Sie beweisen können, dass der Genoss_in Ernst Busch ebenfalls ein Schädling des sozialistischen Kollektivs ist, werde ich Sie bei der Bestrafung dieses Verbrechers mit glühendem Eifer unterstützen!